30 wipes at a price. No artificial sensation or scent. These feel gentle and soft on skin. Does not rip out the moisture. 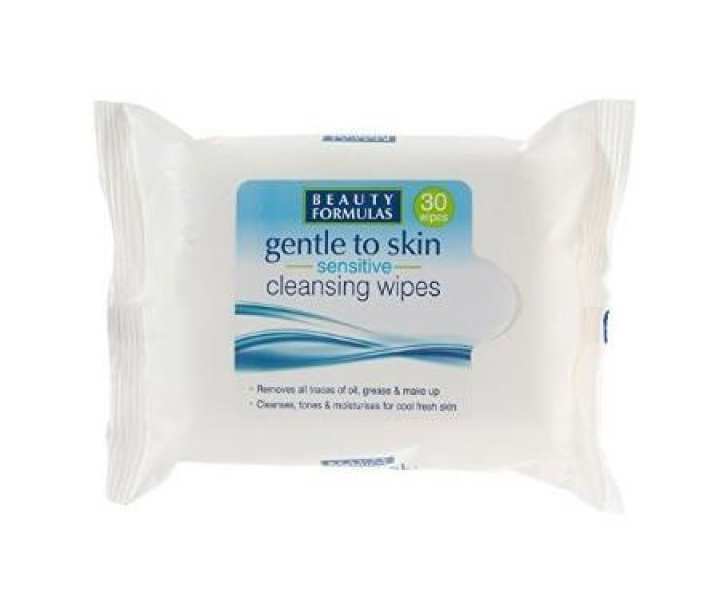 Beauty Formulas gentle to skin sensitive cleansing wipes will gently cleanse, tone and moisture your skin removing all traces of oil, grease and make up in one step to leave it fresh and clean. They are quick and effective and essential for healthier radiant skin. The key ingredient is Glycerin that makes your skin fair, flawless, soothe dry and irritated skin and also works as a moisturizer. Usage Instructions: Remove wipe from sachet and reseal to ensure wipes do not dry out. Do not flush down the toilet. Ideal for -Keeping Beauty Formulas Sensitive Skin Facial Wipes handy will ensure that your skin remains perfect all the time even when you are traveling. Buy them and keep them with you always. No artificial sensation or scent. These feel gentle and soft on skin. Does not rip out the moisture. Removes base makeup quite effectively. atta ki face er makeup clean er jonno use korra hoy? ?